Recently, Motorola was looking for Moto Z and Moto Z2 Force to participate in a soak test for Android 8.0. Although it has been three months since the launch of Android Oreo, only 0.3% of Android devices have the latest iteration of Google's mobile operating system. Apart from Google Pixel and Nexus phones, and a few Sony handsets, most of the manufacturers are still aiming to roll out the Android Oreo update to their smartphones. In case of Motorola, none if its smartphones has received the Oreo update so far. However, that may change soon. Recently it was reported that in Brazil, Motorola is looking for Moto Z and Moto Z2 Force to participate in a soak test for Android 8.0. Only a few days later, the Motorola Moto Z Play has now been spotted on Geekbench with Android 8.0 Oreo in tow. This clearly implies that the software is being tested and the company could push out the version shortly. That being said, the update will arrive only when the testing is successful and there are no bugs or glitches which can possibly affect the performance of the device. In addition to the Geekbench test, a screenshot allegedly showing the "About phone" menu of the Moto Z Play reveals the presence of Android Oreo along with the December security patch. 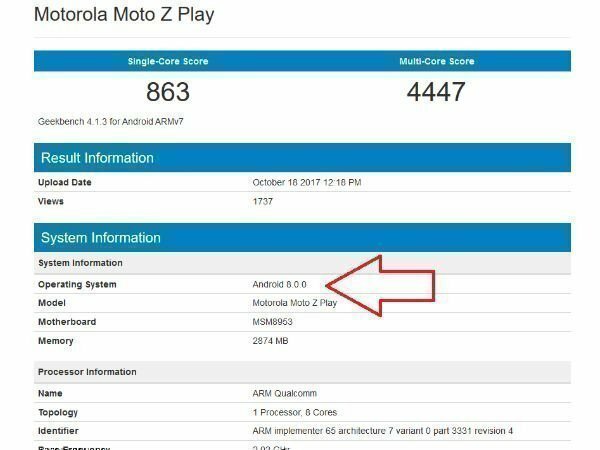 Notably, just because the Moto Z Play has been spotted on Geekbench and the screenshot with Android Oreo, it doesn't mean that it will be the first Motorola smartphone to receive the update. Manufacturers usually follow the "Last launch, first updated" method. Unless Motorola wants to deviate from it, the 2017 models of Moto Z2 should be first to get updated to Android 8.0. Back in September, Motorola had released the list of Moto smartphones that are eligible for Android Oreo. 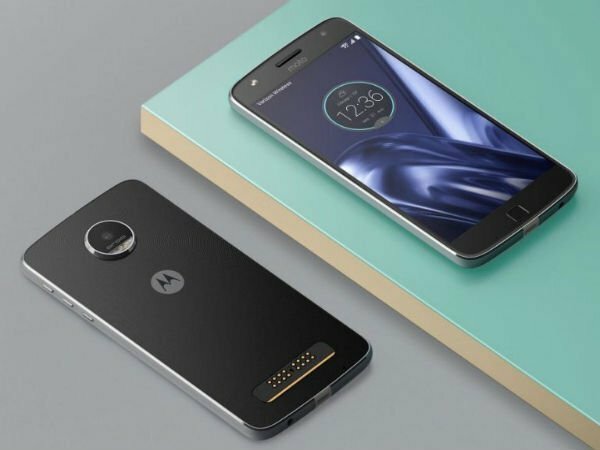 The smartphones include Moto Z, Moto Z Droid, Moto Z Force Droid, Moto Z2 Force, Moto Z Play, Moto Z Play Droid, Moto Z2 Play, Moto G5, Moto G5 Plus, Moto G5S, and Moto G5S Plus and also the Moto G4 Plus.